The underlying theme of Rudi Dornbusch’s work is unabashedly Chicago, namely, the University of Chicago belief that markets solve problems best and that most bureaucrats, even when well-intentioned, are distracted by politics or excessive zeal for perfect solutions. Dornbusch seeks to challenge those in charge with alternative answers and to limit their ambitions. He takes aim at central bankers, bureaucrats, unions, do-gooders, and politicians from Brazil, Japan, Russia, and other scenes of economic disaster.This book collects Dornbusch’s recent commentaries from such publications as Business Week, the Wall Street Journal, and the Financial Times, as well as longer essays from recent and forthcoming books. The pieces focus on issues of domestic and international economic policy, including inflation and debt, exchange rates, trade policy, emerging markets, and the intersection of politics and economics. The writing is lively, opinionated, and informative. Few topics are as misunderstood today as the subject of money. Since the U.S. abandoned a gold-linked dollar more than four decades ago, the world’s governments have slid into a dangerous ignorance of the fundamental monetary principles that guided the world’s most successful economies for centuries. Today’s wrong-headed monetary policies are now setting the stage for a new global economic and social catastrophe that could rival the recent financial crisis and even the horrors of the 1930s. Coauthored by Steve Forbes, one of the world’s leading experts on finance, Money shows you why that doesn’t need to happen – and how to prevent it. 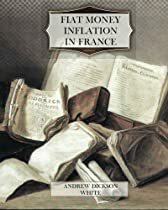 After listening this entertaining and hugely well-informed audiobook, you will know more about money than most people in the highest government positions today. Money explains why a return to sound money is absolutely essential if the U.S. and other nations are ever to overcome today’s problems. 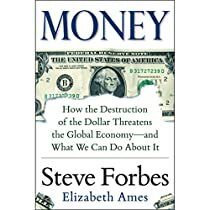 Stable money, Steve Forbes and Elizabeth Ames argue, is the only way to a true recovery and a stable and prosperous economy. Today’s system of fluctuating “fiat” money, in which governments manipulate the value of the dollar and other currencies, has been responsible for the biggest economic failures of recent decades, including the 2008 financial crisis, from whose effects we continue to suffer. The Obama/Bernanke/Yellen Federal Reserve and its unstable dollar policies are accelerating our course toward disaster, the authors show, in numerous convincing examples. How can we effectively aggregate disparate pieces of information that are spread among many different individuals? In other words, how does one best access the ‘wisdom of the crowd’? Prediction markets, which are essentially speculative markets created for the purpose of aggregating information and making predictions, offer the answer to this question. The effective use of these markets has the potential not only to help forecast future events on a national and international level, but also to assist companies in providing, for example, improved estimates of the potential market size for a new product idea or the launch date of new products and services. The markets have already been used to forecast uncertain outcomes ranging from influenza outbreaks to the spread of other infectious diseases, to the demand for hospital services, to the box office success of movies, climate change, vote shares and election outcomes, to the probability of meeting project deadlines. The insights gained also have many potentially valuable applications for public policy more generally. These markets offer substantial promise as a tool of information aggregation as well as forecasting, whether alone or as a supplement to other mechanisms like surveys, group deliberations, and expert opinion. Moreover, they can be applied at a macroeconomic and microeconomic level to yield information that is valuable for government and commercial policy-makers and which can be used for a number of social purposes. Bond markets in the GCC countries are underdeveloped, and the capital mix is heavily skewed towards banks, while ambitious development plans in fields like petrochemicals and infrastructure, as well as a rapidly growing population, create an increased need for finance. This study outlines the structure of various segments of GCC financial markets and points to regulatory challenges and future developments, ranging from capital market structures to the planned GCC Monetary Union, Islamic banking, and sovereign wealth funds. The work brings together state-of-the-art analysis by international scholars who participated in a major joint initiative by the EU and the GCC, the al-Jisr Gulf-Europe Research Program. In the wake of the financial crisis in 2008, historians have turned with renewed urgency to understanding the economic dimension of historical change. In this collection, nine scholars present original research into the historical development of money and credit during the nineteenth and twentieth centuries and explore the social and cultural significance of financial phenomena from a global perspective. Together with an introduction by the editors, chapters emphasize themes of creditworthiness and access to credit, the role of the state in the loan market, modernization, colonialism, and global connections between markets. The first section of the volume, “Creditworthiness and Credit Risks,” examines microfinancial markets in South India and Sri Lanka, Brazil, and the United States, in which access to credit depended largely on reputation, while larger investors showed a strong interest in policing economic behavior and encouraging thrift among market participants. The second section, “The Loan Market and the State,” concerns attempts by national governments to regulate the lending activities of merchants and banks for social ends, from the liberal regime of nineteenth-century Switzerland to the far more statist policies of post-revolutionary Mexico, and U.S. legislation that strove to eliminate discrimination in lending. 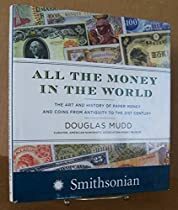 The third section, “Money, Commercial Exchange, and Global Connections,” focuses on colonial and semicolonial societies in the Philippines, China, and Zimbabwe, where currency reform and the development of organized financial markets engendered conflict over competing models of economic development, often pitting the colony against the metropole. This volume offers a cultural history by considering money and credit as social relations, and explores how such relations were constructed and articulated by contemporaries. Chapters employ a variety of methodologies, including analyses of popular literature and the viewpoints of experts and professionals, investigations of policy measures and emerging social practices, and interpretations of quantitative data.